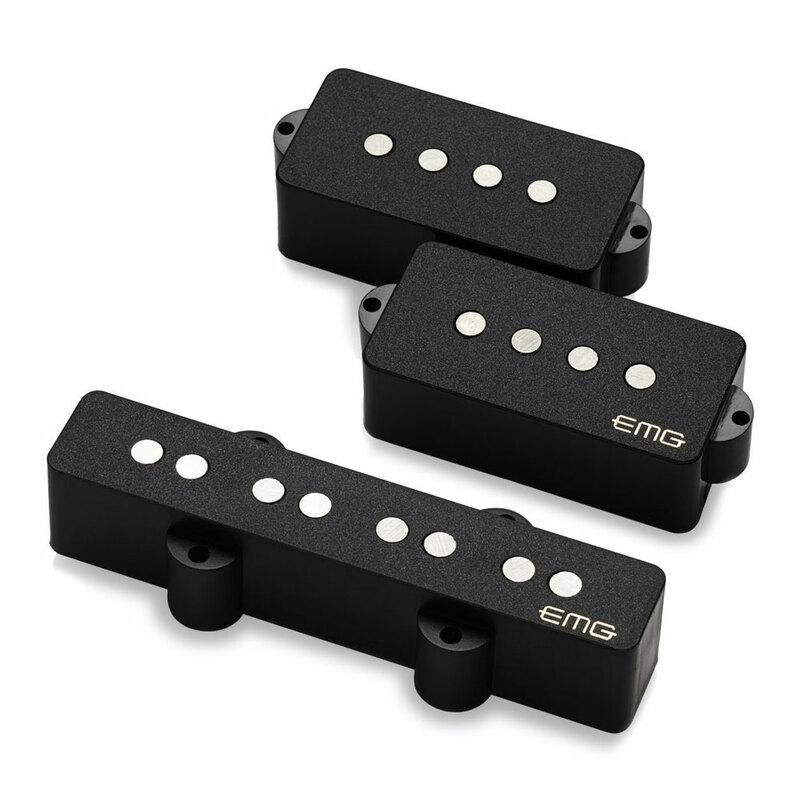 The GZR PJ Bass Pickups were developed by EMG with legendary bassist Geezer Butler, they worked to create a passive pickup with a truly vintage tone an feel, recapturing his early Black Sabbath tone. The pickups use Alnico V pole pieces and custom wound coils for just the right amount of punch and grit with a deep, tight low end. The J pickup features two custom wound split-coils to eliminate the noise and hum usually associated with early 70's bass pickups and allows for more power and volume than any other standard single coil J, creating a remarkable balance between the P and the J. The pickup features their solderless system for quick and easy installation, it comes with everything you need including two 250k volume pots, a 250k tone pot, mono output jack and all required connector wires.